After trading relatively sideways for 3-4 years, Cheniere’s stock has recently began climbing as its Liquefied Natural Gas business is gaining momentum. Global Natural Gas tailwinds will help propel Cheniere’s growth. At today’s prices, Cheniere is undervalued compared to its peers. 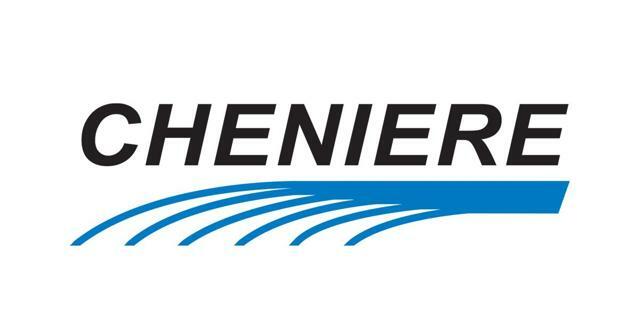 Cheniere Energy Partners (CQP) is again ready to touch it's 52 weeks high, with a continuing increase in revenue by 49% year-over-year for the twelve months ended December 31, 2018, which was primarily driven by the timing of completion of trains at the Sabine Pass Liquefaction Project (“SPL Project”) and the length of each train's operations within the periods being compared. Cheniere Energy Partners (“Cheniere” or the “Company”), founded in 2006, is an international energy company headquartered in Houston, Texas, and is the leading producer of Liquefied Natural Gas (“LNG”) in the United States (“U.S.”). The Company provides clean, secure, and affordable energy to the world, while responsibly delivering a reliable, competitive, and integrated source of LNG, in a safe and rewarding work environment. The Company’s operations, construction, and development also support energy and economic development across the United States. By 2020, the Company is expected to be a top-5 global provider of LNG. In February 2016, the Company became the first among the industry to ship LNG from a commercial facility in the contiguous United States. Since startup, more than 500 cumulative cargoes of LNG originating from the Company have been delivered to 30 countries and regions worldwide. In support of the global reach, the Company expanded with offices in London, Singapore, Washington, Beijing, and Tokyo. Cheniere is a full-service LNG provider. The Company purchases natural gas from the U.S. natural gas market in multiple states and Canada, processes the natural gas into LNG, and offers to customers the option to either load the LNG onto their vessels at company’s terminals, or deliver the LNG to regasification facilities around the world. Approximately 85%-95% of the Company’s expected aggregate LNG production capacity, either completed or under construction, is contracted through long-term sales and purchase agreements with over a dozen investment-grade customers. The remaining volumes of LNG produced are available for the integrated marketing unit to sell into the market. That gives the Company a unique combination of long-term, contracted stable cash flows, with marketing opportunities driven by shorter-term natural gas supply and demand fundamentals in markets worldwide. The natural gas is transported to Cheniere’s LNG facilities on third-party pipelines on which it owns firm transportation capacity, as well as on pipelines the Company has constructed, owns, and operates. Cheniere Energy, Inc. has developed two LNG facilities on the U.S. Gulf Coast. Cheniere’s Sabine Pass liquefaction project (SPL Project) is located in Cameron Parish in southwest Louisiana, and currently has four fully-operational liquefaction units, or “trains” as they are known in the LNG industry. A fifth train of the Sabine Pass liquefaction project in Louisiana has been completed in March 2019. A sixth train at the SPL Project has all necessary permits and is being commercialized. When all six trains are completed, the aggregate nominal production capacity of the SPL Project is expected to be approximately 27 million tonnes per annum (mtpa) of LNG. Cheniere’s Corpus Christi liquefaction facility (CCL Project) is under construction in South Texas, with two trains expected to become fully operational in 2019. The Company has commenced construction on a third train after reaching a final investment decision in May 2018. When all three trains are completed, the aggregate nominal production capacity of the CCL Project is expected to be approximately 13.5 mtpa of LNG. At both sites, the Company has acquired land that is expected to allow it to double its capacity to produce LNG. The global demand for natural gas is expected to grow by approximately 19 trillion cubic feet (“Tcf”) between 2017 and 2025, with LNG’s share growing from 10% in 2017 to 15% of the global gas market by 2025. The Company focuses on growth through exports to different countries and stated that it would increase its exports in the Asia Pacific region with an increased focus towards India, Ireland, and South Korea. Based on these lines, the Company continues to build relationships with key Indian counterparties as it expects to sell meaningful amounts of LNG over the long-term. India plans to set up an additional 40 million tons per annum of regas capacity plan by the early 2020s and hence will have the infrastructure needed to continue growing well into the next decade. The demand of total Indian gas has been unmet with a flat supply of gas production over two years. Cheniere plans to focus on these unmet demands in the coming years. In South Korea, continued economic expansion coupled with limits on coal burn has led to increased gas consumption resulting in an 18% year-on-year growth in LNG demand. As described above, the Company has set up customers across borders with significant revenue generated through them. The top four external customers generate more than 80% of the total revenue. The Company foresees to maintain strong relationships by continued relationships with them. Cheniere’s Sabine Pass liquefaction project (SPL Project) has entered into fixed agreements with terms of at least 20 years (plus extension rights) with six third parties for Trains 1 through 5 of the Liquefaction Project, to provide an aggregate amount of LNG that is between approximately 80% to 95% of the expected aggregate adjusted nominal production capacity from these Trains. Each customer will be required to pay an escalating fixed fee for its annual contract quantity even if it elects not to purchase any LNG from the Company. The Company’s business model is such that it has limited exposure to the decline in oil prices as the contracts are a significant portion of the LNG production capacity under long-term sale and purchase agreements. These agreements contain fixed fees that are required to be paid even if the customers elect to cancel or suspend delivery of LNG cargoes. As of February 20, 2019, the Company has produced over 570 cumulative LNG cargoes, loaded and exported from the Liquefaction Project, with more than 270 cargoes in 2018 alone, with deliveries to 31 countries and regions worldwide. Source: Data, Morningstar. Table, Self-Created. Cheniere Energy Partners remains a high revenue generating business with strong barriers to entry followed by high startup costs and high fixed operating cost. An optimistic outlook has seen margin improvements during the next 12 months. As increasing the demand for LNG in China will lead to a good increase in the revenue for Cheniere Partners with the 8-train platform, it expects to generate almost $6 billion of available free cash from 2018 through 2022. SPL has filed FERC application on an expansion of the Corpus site of approximately 9.5 million tons of expected nominal annual capacity, which will lead to an increase in production capacity. Global outlooks and the associated fundamentals suggest a favorable upside for long-term investors. We recommend shorter-term investors avoid the stock at the current price, while longer-term investors consider starting a small position and/or adding the stock to their watchlist, at a minimum. More sophisticated investors could consider using an options strategy, such as selling put options, in order to lower their cost basis/get paid to purchase the stock.